New Amsterdam Spirits is based in Modesto, California. Modern, intriguing, and smooth, New Amsterdam Gin and Vodka are smooth enough to enjoy straight, yet distinctive enough to hold their own in any cocktail. Distinctly different from other bottle presentations on the market, New Amsterdam's sleek bottle design is modern yet classic, representing the versatile quality of New Amsterdam. 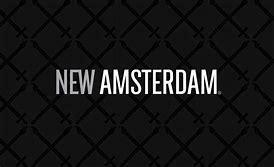 Since its launch in 2007, New Amsterdam has grown to be one of the hottest brands in the spirits category, propelled by both industry and consumer acclaim. "A soft, full-bodied experience on the palate. A subtle sweetness combines with a smooth, clean finish to provide the ultimate taste sensation."